Co-production markets have become a must-have accessory at film festivals from New York to Tokyo. The Hong Kong-Asia Film Financing Forum (HAF) is slightly different, however, in that it is a financing platform that was conceived independently and only later became attached to a film festival. Organised for the past two years by the Hong Kong Trade Development Council and local industry body the Mpia, HAF was taken over by the Hong Kong International Film Festival (Hkiff) after last year's edition as part of the festival's remit to become more involved in the business side of film. Moving in with the Hkiff gives the projects market closer access to film-makers while at the same time staying true to its industry roots. Now in its fourth edition (the first edition in 2000 was followed by a four-year hiatus due to funding difficulties), HAF has been attracting a growing number of buyers, bankers, sales agents and other potential financiers. At last year's edition, the number of attendees climbed to 616, up 36% on the previous year. High-profile participants included Australia's Film Finance Corporation, French distributors ARP and Diaphana, Japan's Kadokawa, and Picturehouse from the US. It is also becoming more geographically diverse with this year's line-up featuring projects from Indian, Australian and Vietnamese film-makers for the first time. The line-up also features established directors such as South Korea's Kim Jee-woon, China's Lou Ye and Japan's Kore-eda Hirokazu, and newcomers such as Hong Kong's Yan Yan Mak and Shanghai-based Ying Liang. Since its relaunch in 2005, HAF has been instrumental in fuelling the boom in pan-Asian co-production, particularly by bringing film-makers from mainland China and South-East Asia into the pan-Asian fold. But the market also has a remit to support up-and-coming Hong Kong film-makers. Ironically, it is the organisers' own back yard that presents the biggest challenge. It is this worrying lack of newcomers - in a risk-averse climate where small to mid-budget film-making is suffering - that reinforces the need for a projects market in Hong Kong. Local film-maker Pang Ho Cheung, who is participating in HAF for the second time, speaks of the limitations of the Hong Kong market where investors are only interested in genre films with major stars attached. According to Wong, the market will stick to its guns and continue to hunt out new local directors, but also plans to extend its geographical spread. 'This is only possible by increasing the total number of projects, which we don't have the budget for at the moment. But eventually we'll be looking to source projects from regions such as the Middle East and Europe,' says Wong. Reflecting the commercial nature of the Hong Kong film industry, past editions of HAF have had a different emphasis to most other co-production markets with a larger number of mainstream productions. HAF projects that have made it on to celluloid include kung-fu action title Dragon Tiger Gate, a box-office hit across Asia last summer, and family-oriented comedy McDull, The Alumni, which was released in 2006 during Chinese New Year. HAF alumni also include foreign-language Oscar submissions, such as Pen-ek Ratanaruang's Invisible Waves and Nia Dinata's Love For Share, along with contemporary dramas such as Li Yu's Lost In Beijing, which played in competition at Berlin this year. Disproving the theory that financing deals are hardly ever announced at project markets, last year Hong Kong's Filmko Entertainment announced it would fully finance Chinese director Zhang Yang's Air. The film had a successful run at the Chinese box office, and screened in Berlin's Panorama section under its new title, Getting Home. 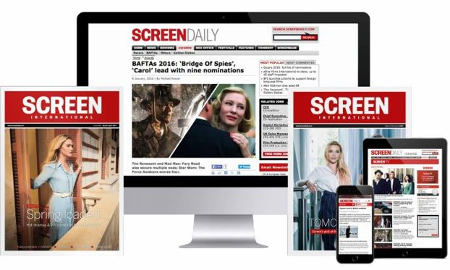 For further details of projects, visit ScreenDaily.com/hongkong.